Grapes are a form of berry. They are round or oval in shape with a variety of sizes, colors and tastes. Its sizes vary from as small as a pea to as big as a plum! Its skin ranges in colors, anything from white to black, with a semi-translucent flesh. Depending on the variety, there are grapes with seeds, and some seedless, tasting from sweet to sour. Red grape juice or red wine has high concentration of a compound called resveratrol, which is not found in white wine, mainly because of how the wine is made. This compound has anti-aging, anti-cancer, anti-inflammation and anti-viral properties. Grape seeds contain rich flavonoids that are powerful in fighting and protecting against many diseases. When juicing grapes, juice the seeds and all. Grape seeds have highly protective flavonol anti-oxidants that scavenge free radicals and promote the growth and repair of tissues. Although most variety of grapes are very sweet, its glycemic index is still at a very safe level of 50. In fact, grape juice is an excellent stimulator of your body metabolism in helping to burn excess food and waste. It supplies heat and energy to the body in a short space of time after drinking. Anti-coagulant: The juice from this tiny fruit can help prevent blood clotting and in the process, help improve blood circulation which would generally improve on overall health. Anti-inflammation: The anti-inflammatory agents in grapes greatly help reduce the risks of inflammatory problems like rheumatism, gout and asthma. Atherosclerosis: Resveratrol in grapes is a good scrubber of arterial deposits, thus it effectively helps reduce the risk, or even reverse atherosclerosis. Bladder: Highly cleansing to the bladder, cleaning out the stones and improving urination, improves bile flow and elimination of waste materials. Cancer: The rich and high content of anti-oxidants in cancer are superb for the prevention of cancer. Constipation: Grape juice is a mild laxative and helps clear up the bowels. Take about 200 ml twice daily for chronic constipation. Eyesight/vision: The flavonol compounds in grape seeds are effective for the treatment of night blindness, retinal disorders and vision improvement. Fever: Drink grape juice consistently to reduce fever. It would also help relieve fatigue and provide energy to the body. 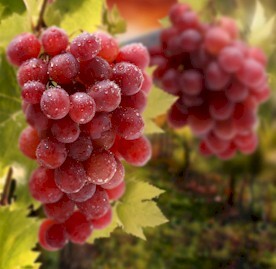 Heart disease: Grapes are beneficial in toning up the heart, reduce heart pains, and can normalize heart palpitations. To enjoy the benefits, go on a grape diet for a few days. Indigestion: A gentle and natural home remedy for indigestion. Mouth and throat infection: Drink juice of unripe grapes to help clear infections in the mouth and throat. Migraine: Certain compounds in grapes make this miracle juice powerfully effective in relieving headaches and migraine. Kidney: Grape juice is diuretic and is excellent for cleaning out the kidney and may help remedy kidney stones. Liver: The abundance of minerals in grapes stimulate the cleansing activity in liver, helps to detoxify. Skin: The highly cleansing properties of grape juice and the high vitamin C content is very beneficial for the skin and helps reduce acne. Grapes are among fruits that have high pesticide residues. Try to choose organic where possible. If not, take the trouble to soak the tiny fruits in water with some salt and vinegar to rid it of the pesticides. Soak for about 10~15 minutes, then rinse and pat dry. Store in refrigerator to maintain its freshness for a few days. 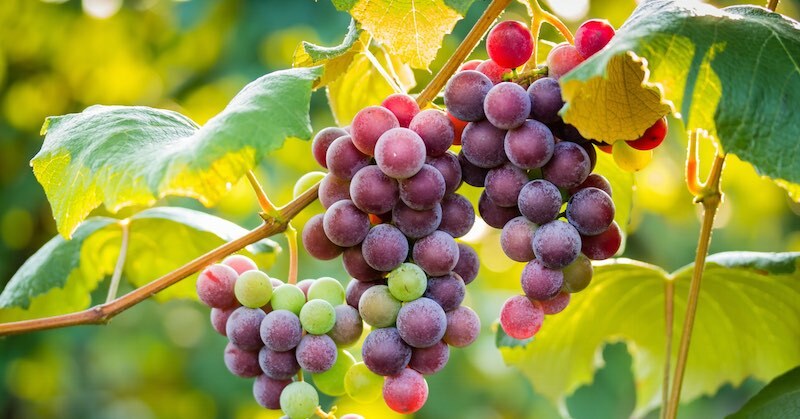 Individuals with a medical history of calcium oxalate kidney stones should avoid the “Concord” variety of grapes that contain high levels of oxalates. Grapes is one of the few fruits which have glucose, the fast releasing sugar, making it a high glycemic index food. Still drink grape juice for its numerous health benefits, but dilute it with water or other less sweet juices. If you are normally healthy, drinking grape juice should not pose any problem. Related reading: How to use grape juice to prevent a full-blown stomach flu.